I’ve always thought of the French 75 as an elegant cocktail. It is served in a champagne flute and is topped off with bubbly. As elegant as it looks, however, this is a drink that also packs a bit of a punch. 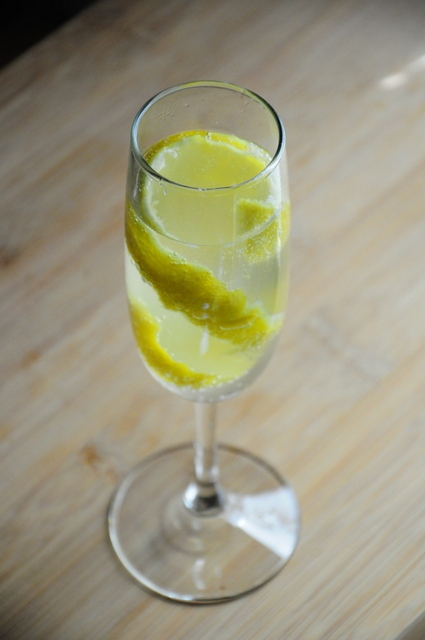 The French 75 is named after the French 75mm field gun – which was often simply called the French 75 during WW1, where it was the most powerful anti-personnel weapon system in use. The punch in the cocktail comes from gin and lemon juice, giving the drink a higher alcoholic content than champagne alone and a burst of fresh citrus. Some people add only a drop of simple syrup to maximize the brightness of the lemon juice, but I like to make mine a little sweeter to tone done the lemon’s acidity and make the whole drink smoother. Pour the gin, lemon juice, and simple syrup into an ice filled shaker. Shake and strain into a chilled champagne flute. 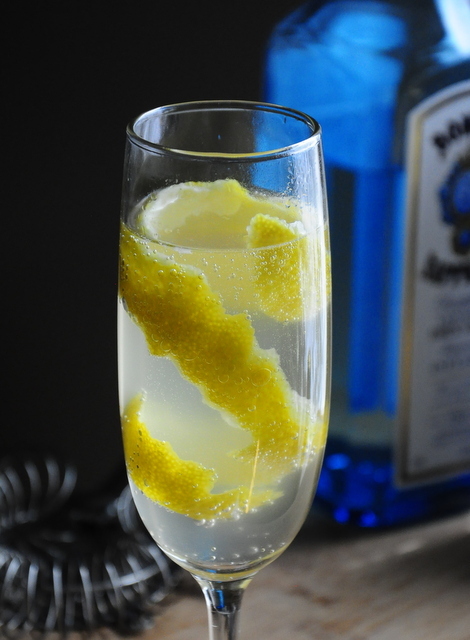 Fill with champagne and garnish with a lemon twist. ← Previous Post: What is Orange Blossom Water?